My book review queue has been huge lately and I've been neglecting to share my thoughts on some books I read in 2014 and enjoyed. I am sharing some mini-reviews and hope you will check these books out sometime soon. All synopses adapted from Amazon. After watching her fairy tale go up in flames, Belle is finally starting over. With a baby on the way, a business to run, and a new love interest she just can't shake, things are finally looking up. That is, until she learns her independence might revive broken curses the world over. Meanwhile, Dawn still longs for the life she had three centuries earlier, so when the childhood sweetheart she believed to be dead resurfaces, she must suddenly choose between the past she once wanted and the present she never knew she did. As both women struggle between love and obligation, they fail to see a great danger brewing in the capital. One that could change everything forever. 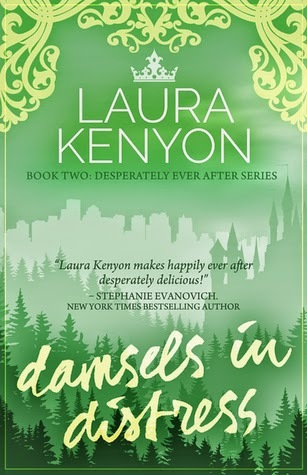 I enjoyed Desperately Ever After back in 2013 (see review) and thought that this book picked up nicely where the previous one left off. It was equally compelling and full of vivid description. There were a lot of new twists that I never saw coming. I'm excited for the final book in this trilogy and hope Laura will have it published soon! My only concerns were that there was almost too much visualization at times and the political stuff got confusing (but politics is always confusing for me anyway). It's an enjoyable read that got me into the mood for Into the Woods this past winter. I have some more casting ideas (the other ones are in my DEA review). Love ties. Murder binds. Maggie never felt as though she belonged until Chris Stevens showed her what true happiness meant. Ten years into their marriage, miscarriages and infidelities have scarred them both. Despite their perfect-couple image, Maggie can’t look at Chris with anything but resentment. When a charismatic stranger offers the opportunity for a little harmless flirtation, she jumps into the game. But charm soon turns to malice, and a deadly split-second decision forces Maggie and Chris onto a dangerous path fraught with secrets, lies, and guilt. With no one else to turn to—no one she dares trust—Maggie will ultimately learn just how binding marital ties can be. 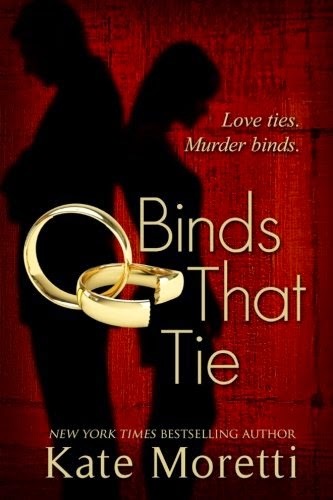 I occasionally enjoy a good psych thriller, and Binds That Tie definitely kept me on my toes. Kate Moretti once again proves her strong flair for storytelling, but this has more of an intense edge than her previous novel, Thought I Knew You (reviewed here). I liked all the little surprises Kate threw in to throw her readers off guard, but thought she could have had less flashbacks, as some of them took away from the story a bit. Fans of Gone Girl will enjoy this novel, and if it ever gets movie rights, I have the following ideas in mind. Two different men. Two different destinies. How will Emma end her story? I loved Fractured a.k.a. 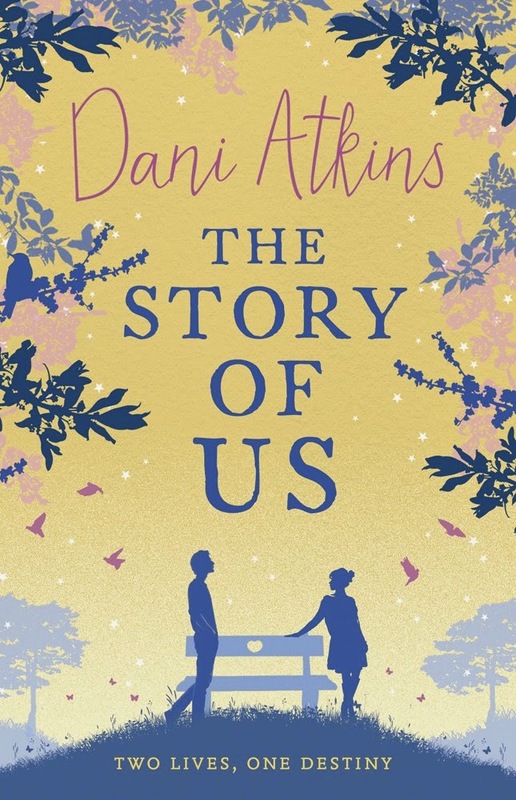 Then and Always (reviewed here), so I jumped at the chance to read The Story of Us. It was a sweet story with a nice balance between conflict and contentment. I found the people and scenery easy to visualize. There was even an element of suspense. I think I was just expecting a shocking twist after reading Fractured and being blown away. However, there were some surprises in store and Dani kept me guessing the whole time. It's definitely a story you can cozy up to on a winter's day. And I can't leave it un-casted! Thanks to Laura Kenyon, Red Adept Publishing, and Head of Zeus for the books in exchange for honest reviews. You are so good at casting! And I love that you pull out actors/actresses that might not be as well known rather than always going with the same A-list people.